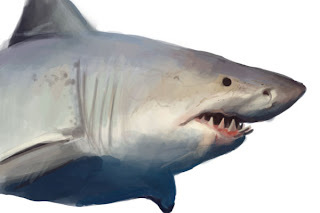 Here is a quick 30 minute sketch and paint of a shark. Didn't want to spend a ton of time on this but it was super fun. Sharks are just a cool looking animal. Amazing rendering, hope your well dude. What up Niall! Nice to hear from you. Everything has been going great. Hope all is well with you!